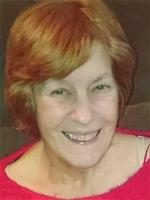 Christine Allison, a neighbour of Brenda’s and a friend of Peacemakers, died suddenly after a short illness on 13th August 2016. She was a lovely fun loving person and supported Peacemakers in many different ways. She was also instrumental in raising money for a ‘Cow for Kenya’ and travelled out to Kenya with Brenda to place the cow with a Women’s Self Help Group and made life long friends with them. She was also very talented and had a beautiful operatic soprano voice and was the leading singer in The Ware Operatic Society and even had an audition at Glyndebourne. At her funeral at The Parish Church in Watton-at-Stone, The Ware Operatic Society sang ‘Hail Poetry,’ her son Richard sang ‘Angels’ and there was a recording played of Christine singing ‘Vilja’ as her exit music. Very beautiful and very moving, I don’t think there was a dry eye in the church.